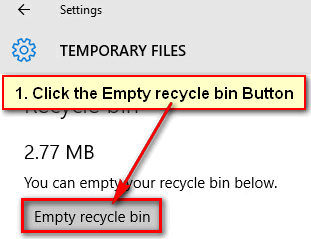 Empty recycle bin in Windows 10. When you delete something in Windows, it doesn’t actually delete your PC, it just moves on your computer recycle bin folder. If you delete it from the recycle bin folder then it will be actually removed from your computer. That’s’ a not a problem to delete files and folder from recycle bin folder. But most of the users that forget to remove recycle bin folder regularly. After a long time recycle bin folder fill up with the serious amount of files and it takes your hard disk space. 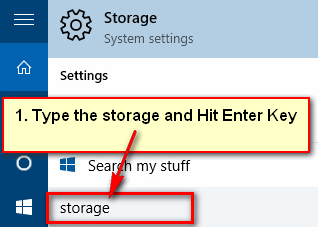 So, let us start with how to empty recycle bin in Windows 10 to get more free space on your computer. 1. 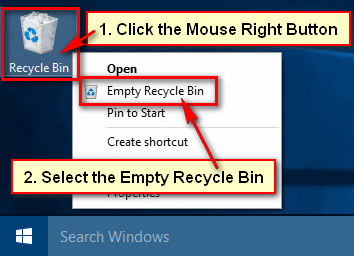 Click the mouse right button up to Recycle Bin with recycle bin icon on your desktop and select the Empty Recycle Bin from the menu list. 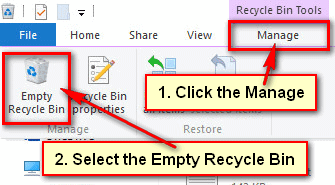 If you see the message “Delete Multiple Items” message then press the Yes button to empty recycle bin in Windows 10. 1. 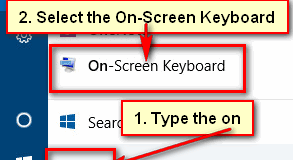 Right-click up to the Recycle Bin icon and select the Open menu to open recycle bin on your computer. 2. Click the Manage menu and select the Empty Recycle Bin from the sub-menu list to remove Windows 10 recycle bin files and folders. If you see any message then press the Yes button. 1. 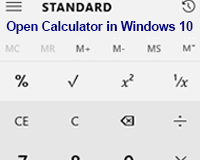 Click the Windows 10 search box on the taskbar, type the storage and press the Enter key from the keyboard. 2. 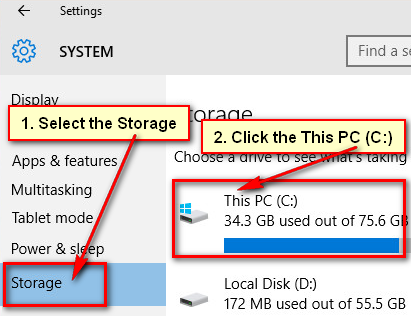 Select the This PC (C:) drive from storage page where Windows 10 is installed. 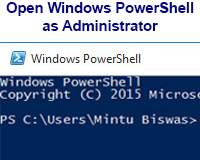 You will see the Windows 10 loge up to the folder where you installed your Windows. Storage usage page will open with few name and spaces. Scroll down below of the page and select the Temporary files with used space. 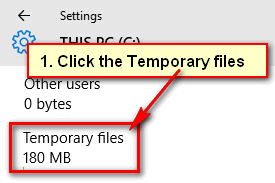 Temporary files page will open with temporary files, downloads and recycle bin section. 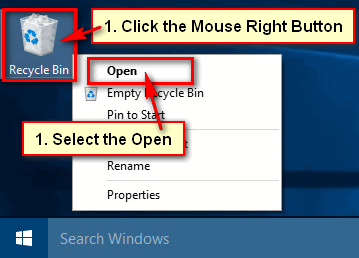 Click the Empty recycle bin gray button to empty recycle bin in Windows 10. You will see a message “Your recycle bin might contain personal or important data. Are you sure you want to empty it?”. Press the Yes, I’m sure button to remove recycle bin files and folders.